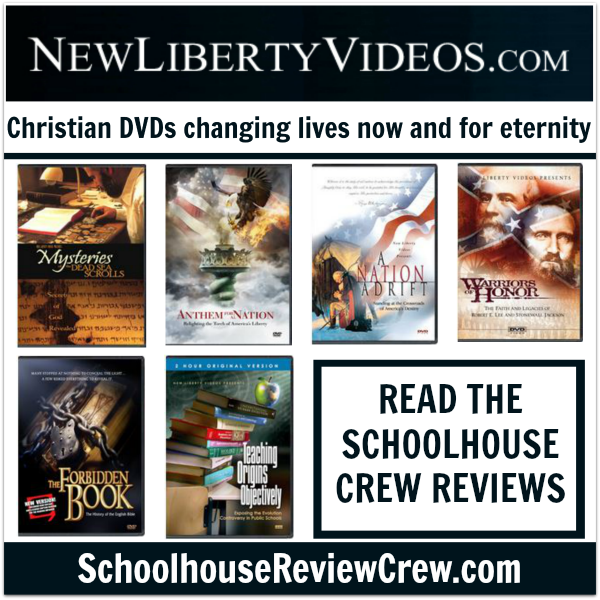 New Liberty Videos is a family-owned company dedicated to producing quality Christian DVDs. They were founded by Brian Barkley, a former Hollywood television editor. Anthem for a Nation – This documentary explores the qualities that made America great, including our God-given freedoms. It is meant to educate and revive the hearts of our country today to walk with God and trust Him to restore our land. The Forbidden Book – This DVD details how the Scriptures were brought to the world by brave men like John Wycliffe, William Tyndale and Martin Luther, in spite of the danger to themselves. Mysteries of the Dead Sea Scrolls – This DVD is divided into three parts. Part 1 covers the discovery of the Dead Sea Scrolls, including a look at the 19,000 pieces recovered and how they were put together again with technology. It also discusses why the Scrolls were abandoned in the caves of Qumran in the first place through a look at geography and historical information. Part 2 is an introduction to the Hebrew language and how it is comprised of word pictures that illustrate the truths found in Scripture. Part 3 is a look at the “forbidden book” and how the Bible was brought to the world in spite of the obstacles and dangers during the dark ages. A Nation Adrift – From Christopher Columbus to the founding of America, God has guided the founders of our country. This DVD explores where we began and where we are today as a nation. Teaching Origins Objectively – This DVD covers the scientific validity of creation versus evolution as world-renowned scientist, including Michael Behe, testify before the Kansas Board of Education. Warriors of Honor – What do you know about the faith of Robert E. Lee and Stonewall Jackson? This documentary covers that topic, along with the Civil War causes, major battles, and the historical and cultural context.